Harriet Houdini is going for gold in the London Animalympics! Hearing that Superpetsis going to be part of an international Olympics for animals, Harriet fancies her chances at bringing home some medals. She goes into training with a world famous athlete and brings a whole new meaning to the hop-skip-and-jump of the triple jump. But not everyone wants to see Harriet win, least of all The Great Maldini, and she has to take some unconventional transport to make to the Animalympics final. Tamsyn Murray was born in Cornwall but now lives in London with her husband and daughter. She writes books for children of all ages. Snug as a Bug is her first picture book. 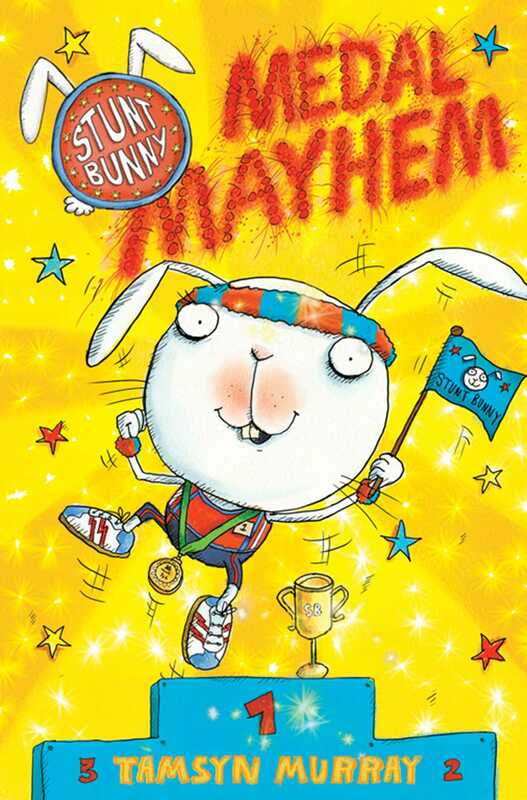 She has also written the Stunt Bunny series of young fiction for Simon & Schuster, along with a teen fiction series for Picadilly.